Most folks are not familiar with Namibia on the southwest coast of Africa – other than perhaps knowing that singer Adam Levine (from Maroon 5) is married to a model who grew up there. And that is too bad, because it’s time to change our myopic travel views of Africa and stop focusing just on Kenya, Zambia, Tanzania, Zimbabwe and South Africa – which are the places most people vacation to. 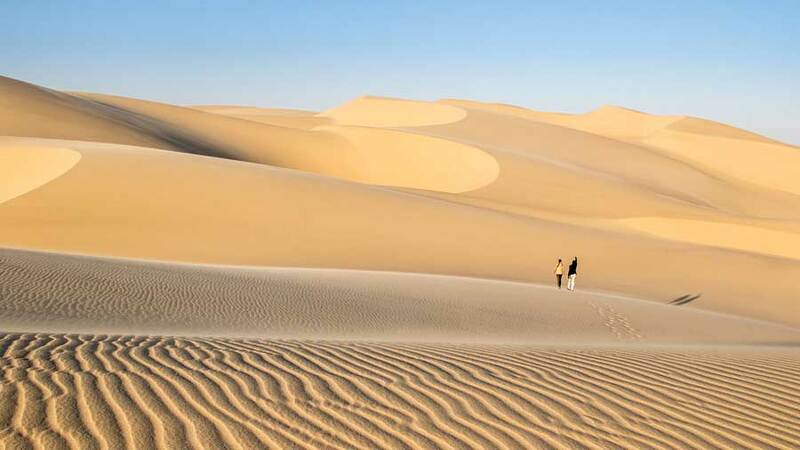 And that’s too bad because this remarkable and rugged country’s Dept of Tourism states that: “…over 43% of Namibia’s surface area is under conservation management. This includes national parks and reserves, communal and commercial conservancies, community forests, and private nature reserves. After Independence in 1990, visionary conservationists in the field and the Ministry of Environment and Tourism enacted policy changes that allowed rural communities to benefit from wildlife by forming conservancies. In 1998, the first four conservancies were registered. Today, more than 70 registered conservancies embrace one in four rural Namibians. A sense of ownership over wildlife and other resources is encouraging people to use their resources sustainably. Wildlife is now embraced as a complimentary land use method to agriculture and livestock herding. And this is exciting news for retreat leaders who are looking to travel to a country where they are taking positive action for our planet. Now that we are clear about why this country should be on YOUR bucket list – I want to share an amazing lodge with you that will simply knock you off your feet! 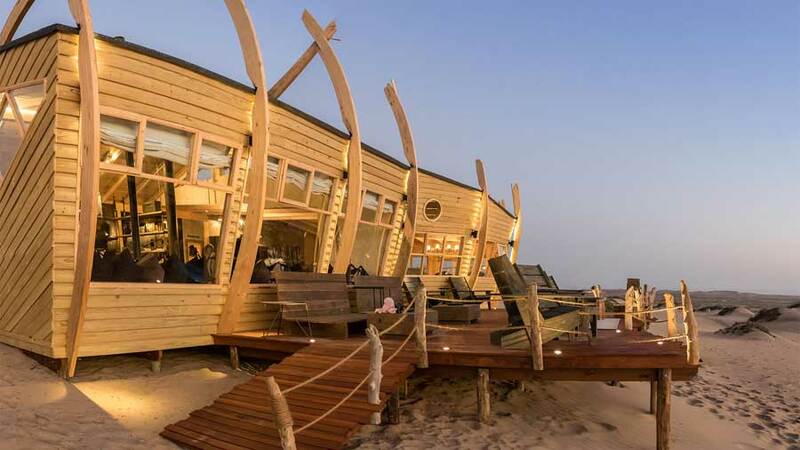 Located in the Skeleton Coast Park in the north of Namibia is the aptly named Shipwreck Lodge. And yes, along this very wild, windswept and rough coast, many a ship has been wrecked with only the skeletons left as evidence of their morbid end. 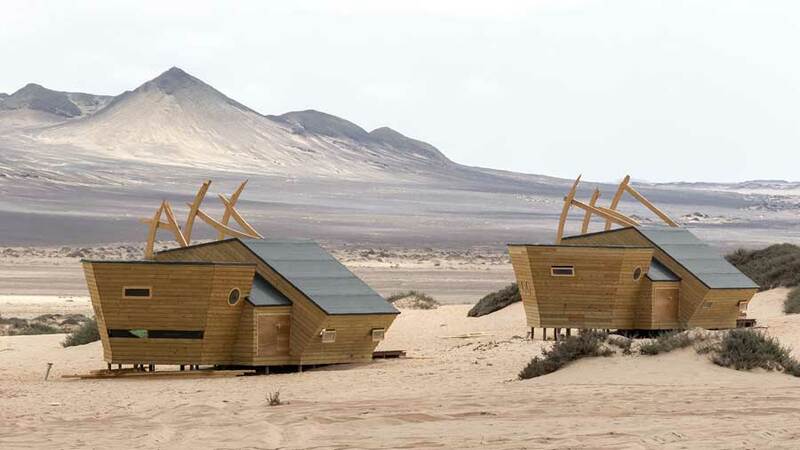 The reason the name is so perfect for this lodge is the design – the place looks like it was shipwrecked, but in the most stunningly beautiful way! You might be wondering what the set-up is and how many people can stay. 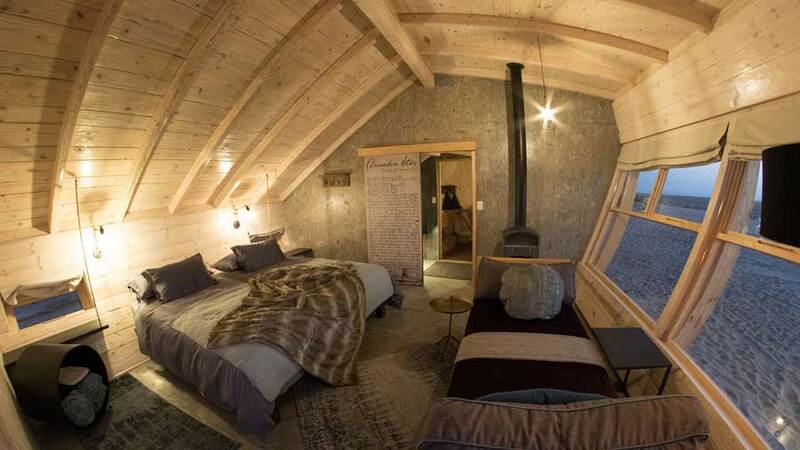 There are 8 chalets that you can have two twins in or one larger bed, and 2 family chalets that you could use as a triple or even a quad depending – plus all the rooms have either a wood-burning stove or fireplace. So cozy! So there is plenty of room for your group. 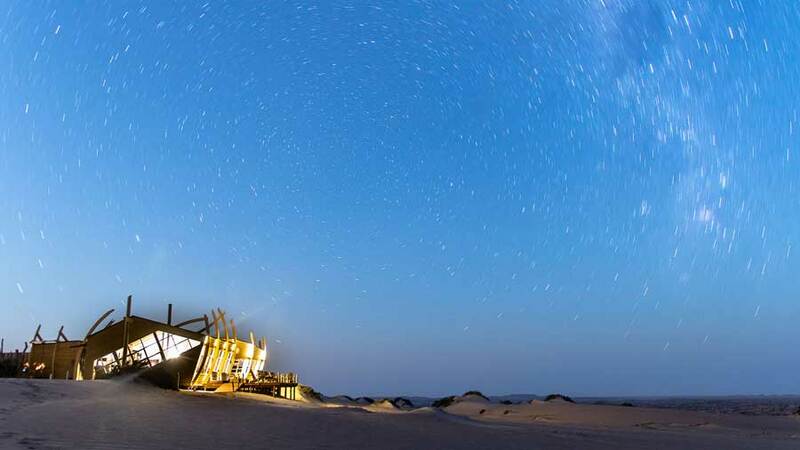 Rates don’t come cheap in the middle of the desert – however the rates do include all the meals, daily scheduled camp activities, local drinks and the complimentary laundry service. The activities could be sundowner drives, beach lunches, fishing, a full day excursion to Mowe Bayor and the seal colony or even a full day excursion of the Huarusib River. Just so you have an idea – a double room rate PER PERSON in USD would be approximately $710 per day – but again – it includes everything including their amazing and deeply passionate guides. The reviews of the place and the food have been nothing short of stellar – which is remarkable considering the remote and eco-conscious location. Consider coming during the shoulder season – that will get you the best rates. This would be the perfect upscale retreat destination for a nature conscious group, outdoor enthusiasts, a meditation group – gosh there are so many fab reasons for choosing this unusual locale. You can easily fly to Windhoek and then take a short flight to Möwe Bay. You will then be transferred the 45km north to the Shipwreck Lodge in a closed game drive vehicle – that in itself is an adventure! So let me know what you think and if you’ve even thought about coming to Namibia – and if not – I sure hope I’ve changed your mind about it! Post below and let me know. 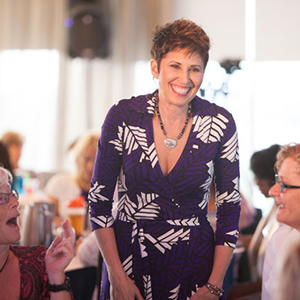 Dr Sheri Rosenthal is known as one of the most sought after retreat strategists for coaches, speakers, and authors — and is the owner of Journeys of the Spirit Travel®, a boutique agency specializing in the planning and management of group travel. Through her Wanderlust Entrepreneur Community and her signature course, The Retreat Blueprint Program, she has taught thousands of facilitators how to design exceptional retreats that allow them stand out in their niche. 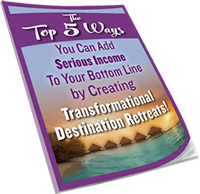 She loves helping clients plan, fill, and profit from transformational retreats that change lives in a huge way while adding serious income to their bottom line! Want to learn MORE about picking your perfect location?